23 with Glenda Silvey, "The Twilight Zone" & "Movie Star" promos. The Movie Star promo 1985, courtesy of Chris Sloan. Tulsa 23 promo spot. More TTM video in the Photo/video briefcase. My constant companion, the trusty TV Factbook, says KOKI Channel 23 went on October 26, 1980, and (KGCT) Channel 41 kicked off March 18, 1981. I know they weren't there when I left town, just ahead of the tar and feathers, in March, 1979. Ahhh, yes..."TULSA TWENTY-THREEEEEE, GET TO KNOW US." They were a breath of fresh air for Tulsa's airwaves when they signed on. Here's something about 23. Remember their logo in the early 80's? 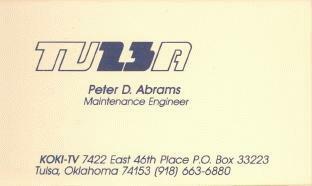 They implemented the "23" into the word Tulsa, and it looked like TU23A. Although, it actually looked better then that. If I recall correctly, that logo won a design award. Man, I miss the days of the independent station. 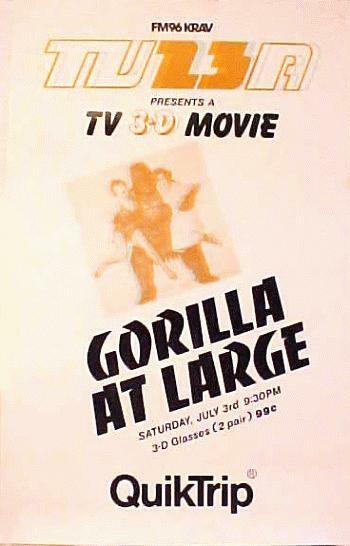 Want to watch some free 3D TV? Send off for these free Pulfrich 3D Glasses. They work best with horizontal motion across the TV screen. Figure skating, moving water and fire are particularly good. These are different from the blue/red 3D glasses; they are no more than a clear left frame and a gray right frame. The right-hand image is processed by your brain a split-second later than the left. The resulting parallax lets you see the scene in 3D. It really, really works! 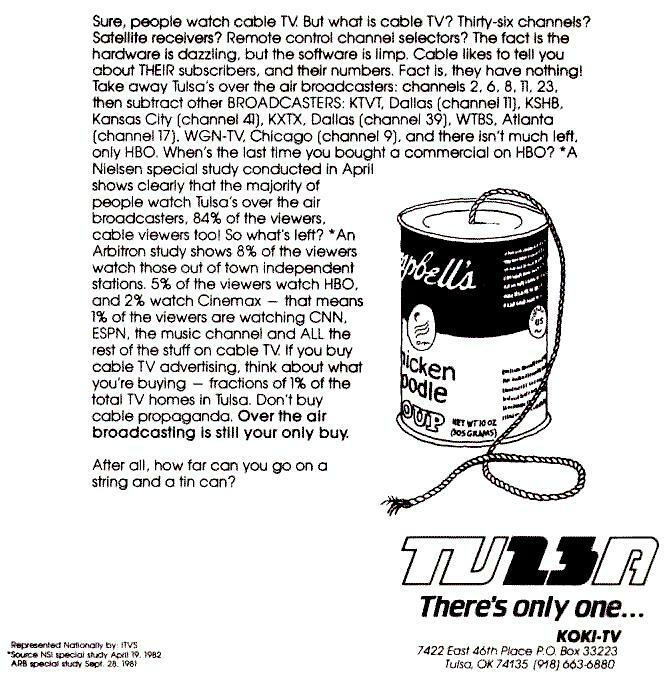 Do ya'all remember when Tulsa 23 gave away UHF antennas or sold them at 7-11 and Radio Shack? We did it first at KGMC in OKC. First as a give away then I think at $1 each to get the unwashed in OK to watch UHF television in the 80's. I accepted a job at Tulsa23. It just so happened they had just bought KHOU's Norelcos (another Corinthian outpost), and needed somebody with ampex and pc70f/s experience. Whoa. Talk about bein' in the right place at the right time. My first real TV job was with WLFI Ch18 in W. Lafayette (Laffalot) Indiana. The chief engineer was a young buck by the name of Bob Hardie. He had worked at KTUL a few jobs earlier, and here I was in Tulsa, and here he was back too, CE of KOKI. Hey. It was the most amazing thing that 23 obtained major coverage on all 3 of the "real" stations. It was like they all were laughing silently while these "hicks" put up another Stick. Not only did they (we) sell the antenners for free, The other alternative, as explained by Bob Hardie on all 3 of the local newscasts, was to get a coathanger and use it instead. The length? As it so happened, at 525 MHZ, it worked out to be real close to 23". Go and figure. Didn't a lot of independent TV stations carry INN half hour newscasts? I don't remember it in OKC, but I know KOKI did in its "TU23A" logo. Doc Rock doing his thing. More TTM video in the Photo/video briefcase. Hi, I'm Bob Hardie, who worked at Ch. 8 in engineering from 1958 to 1966 and built KRAV-FM in 1962. I was CE of KRAV until 1965 and George (Kravis) hired me back as consultant for more years afterward. I went to Saudi Arabia in June 1966 and then went on to other cities in the US. I returned in 1980 and built KOKI TV... TULSA 23, and worked there for 10 years. I went to Kansas City then and am now at WTTA TV in Tampa, Florida as CE. It's a big market. #13 now. To get an idea of how big, Miami is only #16. Love it here and will retire here. I know and worked with many of the personalities in Tulsa. I worked, for example, with Jack Morris, Don Woods, Hal O'Halloran, Cy Tuma, John Chick (who I taught how to ride the unicycle), Bill Pitcock, Bob "Gregory" Pitcock, and many more. I am checking in for the first time after enjoying this website for over a year. Having grown up in Tulsa, the TV and Radio memories from the 60's are great. And having worked at Channel 8 and Channel 23 from 1976-1986 there are lots of folks contributing that I know and am looking forward to sharing stories with. I was part of the 8's the Place promo and Total 8 Tulsa news era at KTUL and the "Get to know us" and Creature Feature era at KOKI Tulsa 23. The title sequence was a night-time shot, slowly zooming down Boston Avenue toward the Williams Center with the Atlas Life Building prominent. The "Movie Star" logo was superimposed on this scene. 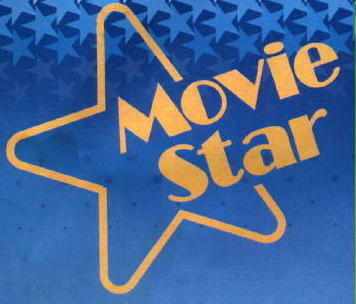 I contribute to a web site about TV, and in passing I mentioned the trademark lawsuit from back in the 1980s between KOKI and HBO/Cinemax over the use of the term "Movie Star." The owner of the web site asked me about this, saying he couldn't find any mention of it on the web site of a well-known broadcast trade publication. I've been Googling various combinations of "KOKI" "HBO" "Cinemax" "Trademark" "Lawsuit" and what have you for the past half hour, and I can't find reference to it. Can anyone point me to a reference about this case online? I was the marketing and promotions manager of KOKI Tulsa 23 from 1980 to 1988. It began broadcasting on my birthday, October 26th, 1980. The general manager, Jim Lavenstein, asked me to pick a date for sign-on. I picked my birthday. 3 Linda Soundtrak commercials. More TTM video in the Photo/video briefcase. I'm 23 years old, so my memories of Tulsa TV are somewhat limited compared to some of the other people who have posted comments to this site. I love your site, by the way. I have learned a lot about Tulsa TV that I had no clue about, including KGCT-41! I was hoping maybe you could help me with something. I found this VCR tape of "The Love Bug" that my mom taped off of KOKI (before it was affiliated with FOX). During the commercials, the station did a news update entitled "NewsCheck" that lasted only about 30 seconds with a lady bringing the big stories of the day. If I had to guess, I would say the tape is from 1988 or 89. The woman looked very familiar to me and I finally realized it resembled the "Attorney on Call" on Channel 6. I believe her name is Dalinda Jeffers. Is this the same woman or is it just my imagination??? Now, I CERTAINLY remember Jack Bunds doing the news for that station for a few years before he went to channel 8. He was always on during the 'FOX Kids Club' cartoons after school reporting news and it usually pissed me off when they'd put that on instead of getting back to cartoons. That reminds me, didn't they do a kids show locally in the early 90's? I remember the set was a treehouse and this girl that looked 19 or 20 did the show and would cut in while the cartoon was showing closing credits. It bothered me when they did that on "Chip n' Dale Rescue Rangers" because I really liked the song. :( Anyway, I remember at 5 o' clock (the end of the show) they would show the girl climbing out of the "tree" and either skipping down the road or riding her bike away. Ah, memories. That was my plan each day after school, watch "FOX Kids Club." Then after that, time for "Small Wonder" at 5. Anyway, I remember one day I was at the mall with my mom and we saw Jack Bunds with his wife (I guess) looking at women's clothing. My sister saw him first and yelled, "HEY, mom it's the BUNS guy!!!" My mother was somewhat embarrassed. Jack gave her a weird look as she was dragging us off. LOL. Yes, Dalinda Jeffers was a TV person before she was a law person. KOKI to advertisers: Don't waste your $$ on cable.